"Ah! How good is the good God." 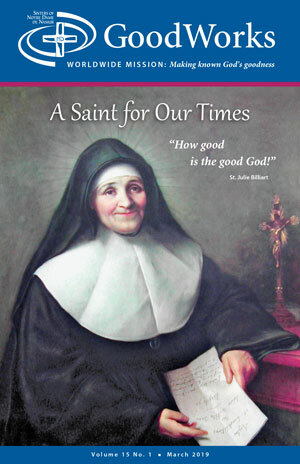 A Saint for Our Times! to make known God’s goodness and bring courage, hope and healing. 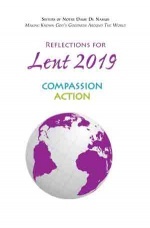 Lent 2019 is an invitation to all of us to look at ourselves and make changes. 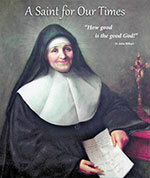 The Sisters of Notre Dame de Namur invite you to join us on this 40-day journey of change. Each act of kindness, generosity, forgiveness, sacrifice, remembrance and adoration performed through Prayer, Fasting and Alms Giving – can change the world, one act at a time. Have you experienced God's goodness in your own life?